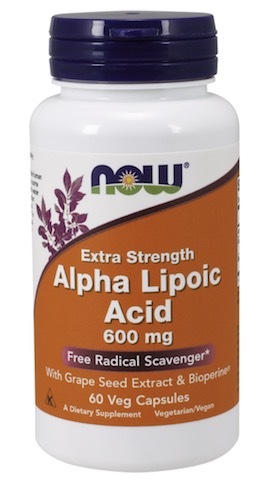 This remedy is a natural combination of homeopathic biochemic tissue salts useful in the relief of symptoms of minor throat ailments, often with a white-coated tongue. Tissue K works with no side effects. Ferrum Phos, Kali Mur, and Kali Phos, in combination, are useful in alleviating sore throat symptoms. 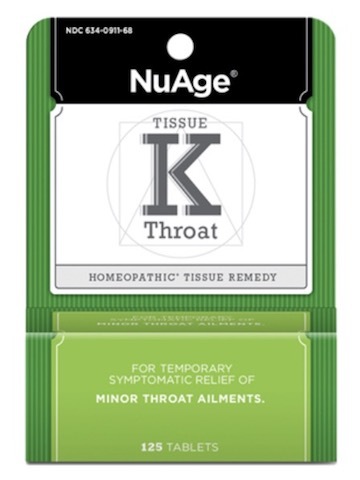 Burning pain, painful swallowing, hoarseness, and a sore red throat are all indications for the tissue remedies included in the combination remedy Tissue K for Throat. FERRUM PHOS: For the symptoms of dryness, redness, and pain in throat. KALI MUR: For the symptoms of swollen, sore throat, often worse when swallowing. KALI PHOS: For the symptoms of sore, swollen throat and often a white-coated tongue. Warning; As with any drug, ask a doctor before use if pregnant or nursing. Consult a physician if symptoms persist for more than 7 days or worsen. Keep this and all medications out of the reach of children. In case of accidental overdose, contact a medical professional or poison control center immediately. Do not use if imprinted tamper band is broken or missing. In case of emergency, contact a medical professional or poison control center immediately. The manufacturer may also be contacted for emergency information about our products 24 hours a day, 7 days per week at (800) 624-9659.